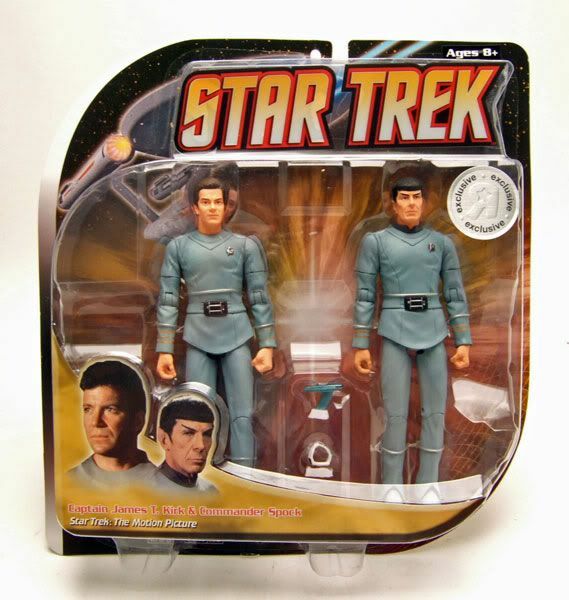 Captain Kirk was released as part of a Toys R Us Exclusive figure 2-pack with Commander Spock. The Rundown: "Herbert! Herbert!"... *Ahem* Sorry, I'm watching "The Way To Eden" while writing this. 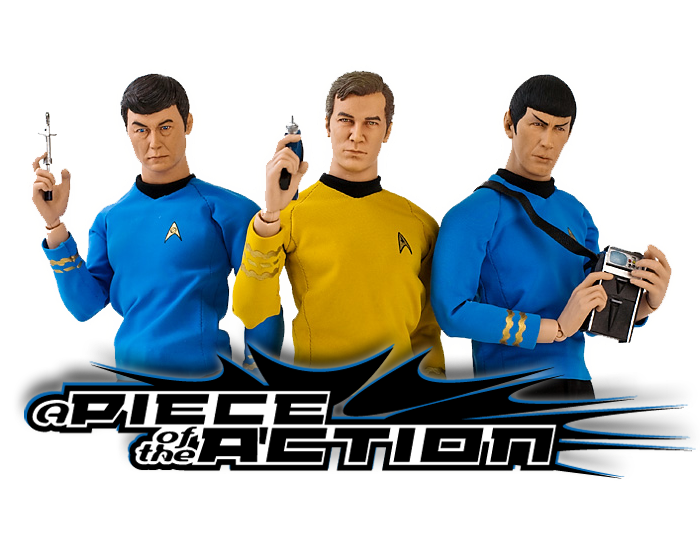 Back to it... Toys R Us recently got a deal going with Diamond Select for some exclusive Star Trek merchandise. 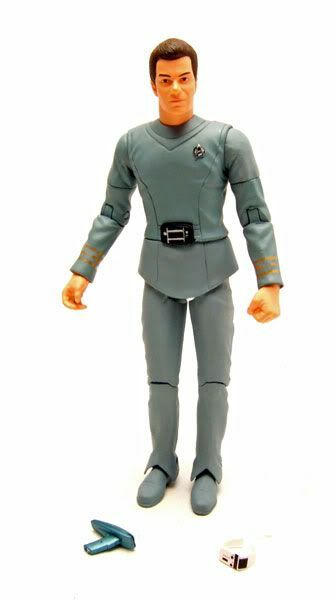 One of the first items was this Kirk in his gray captain's uniform from Star Trek: The Motion Picture. The head is the same used on the regular release Motion Picture 2-pack. I feel like it's far superior to the Wrath Of Khan head. The face is less 'pinchy', and the hair much less curly. It's so good in fact that I bought an extra to switch onto a TWOK body. 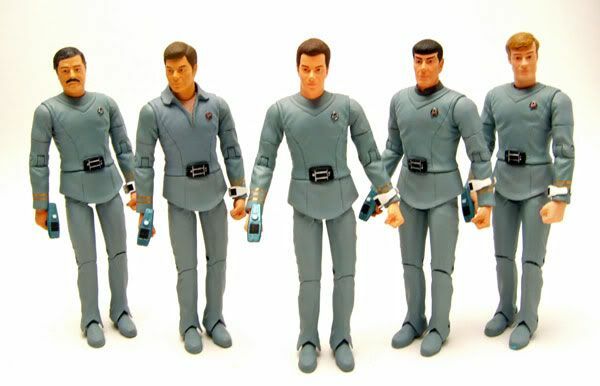 The body is pretty much the same sculpt used on all 3 of DST's TMP figures, with just slight tweaks on each one (like collar and 'skirt' differences). 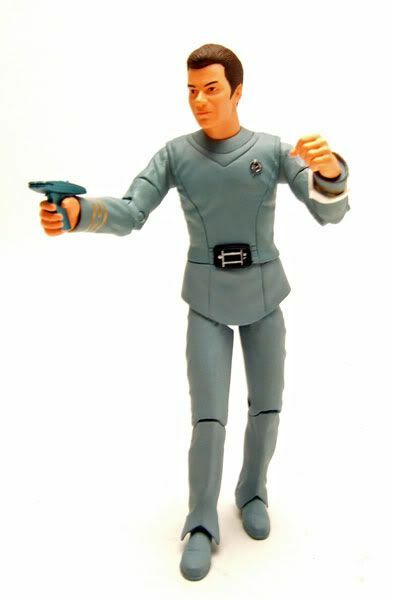 All 3 of them use the TNG Data legs and arms, including the closed fist. 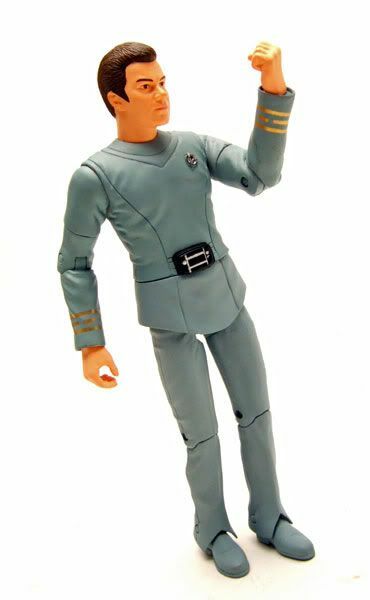 The fist works better for Kirk than it does for Spock. Kirk is a puncher. Since he reuses the Data legs, Kirk has a bit of the wonky leg syndrome going. Not as bad as on Data, but still noticeable. 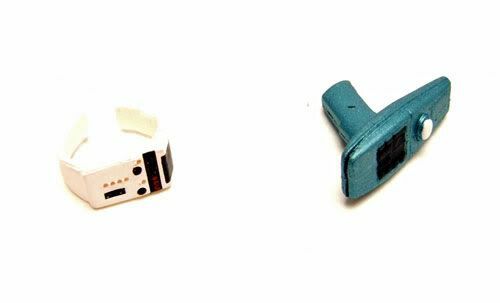 Accessories: Just like Spock, Kirk includes a TMP style phaser and wrist communicator. Agreed with comment above. I'm also in UK and find it hard to find the TRU version. 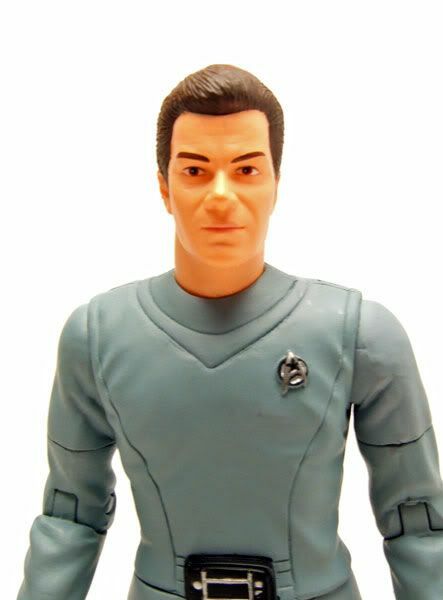 Can I ask how you made the collar on the McCoy figure and who is the head for Decker? (looks like Conan O'Brien). Otaku5003 here! that decker figure is awesome,how did you make that? 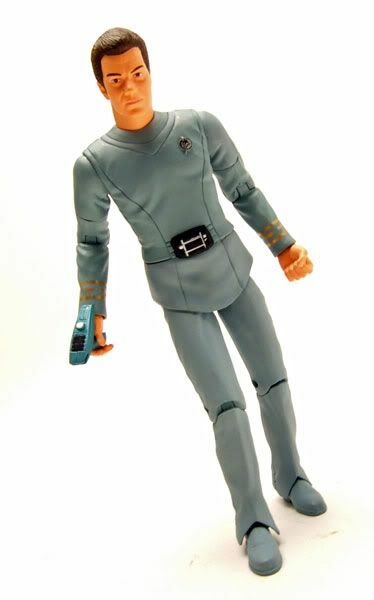 otaku5003, hey james i found an image of Scotty's uniform, i'll email it to you!